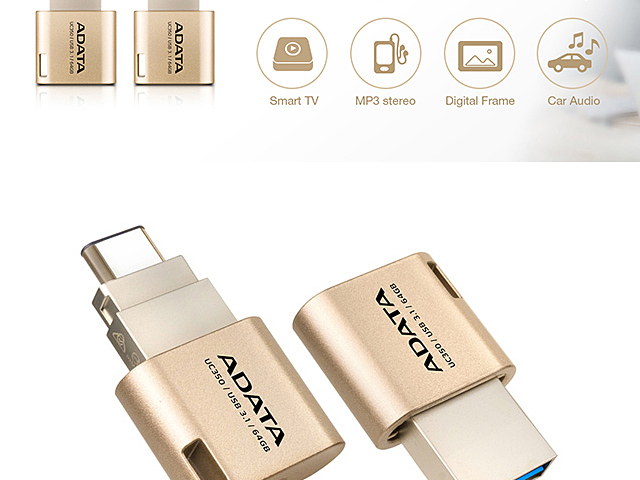 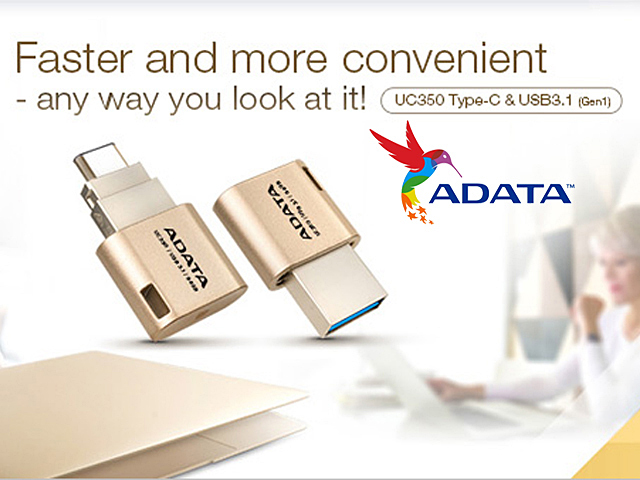 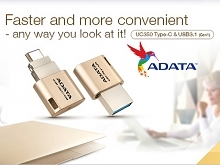 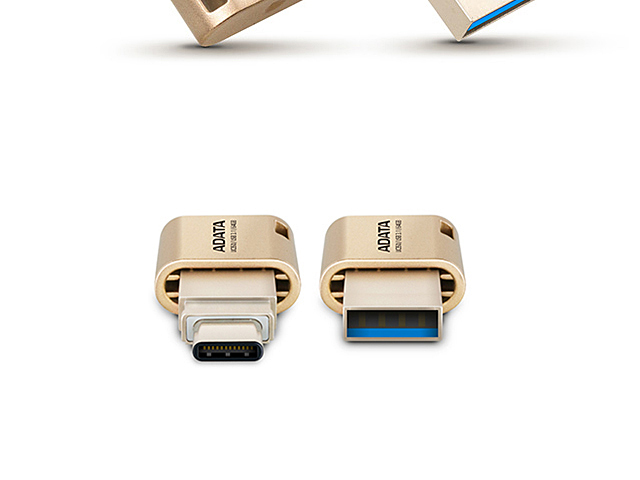 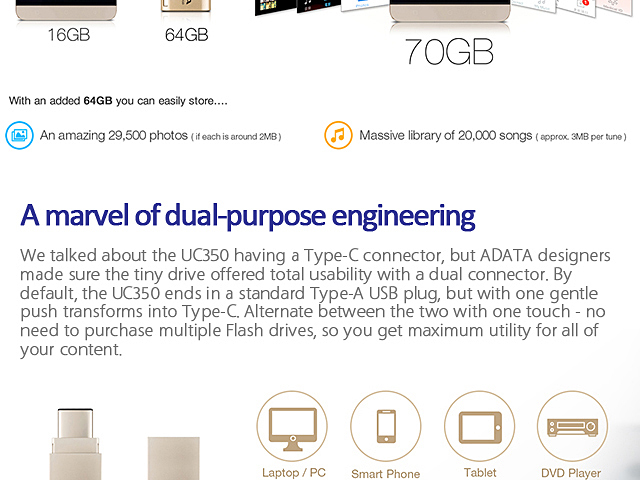 A-Data presents the new-generation, dual standard connector UC350 Flash drive, which brings you major steps forward in data convenience and performance. 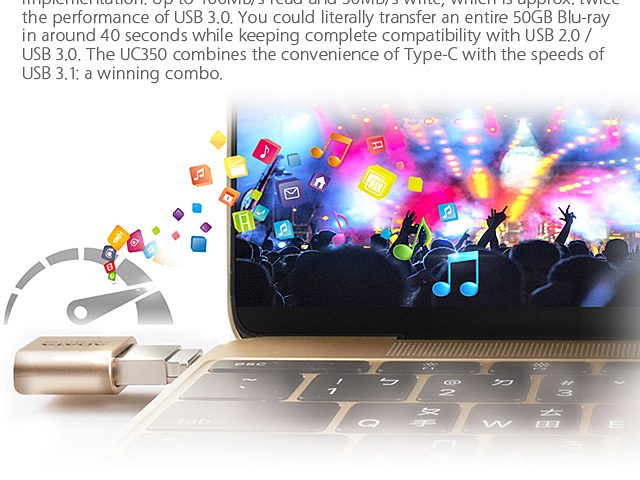 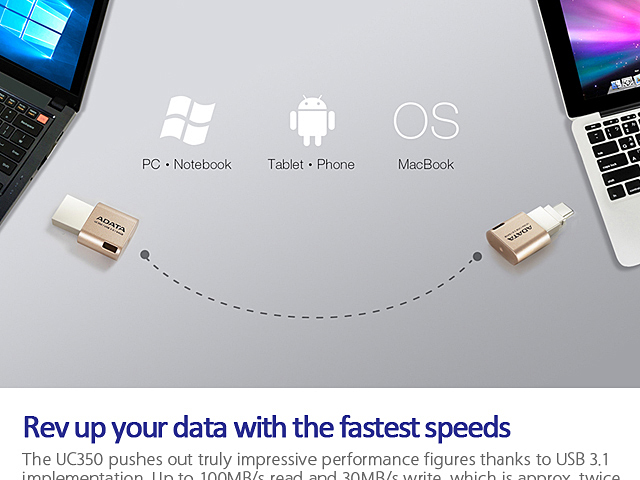 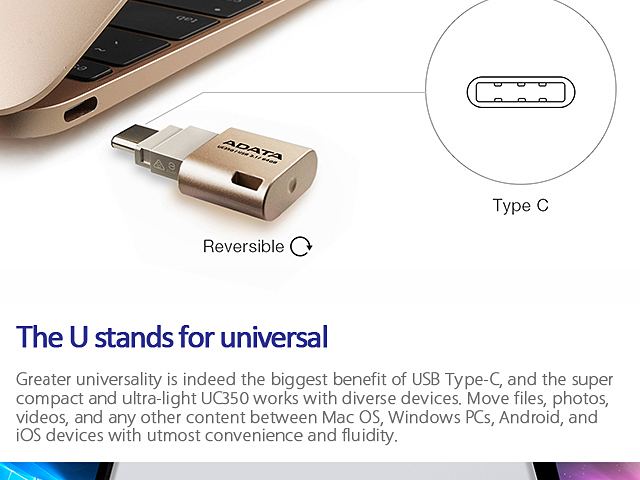 It's USB 3.1 for the fastest transmission speeds, and even better, we've built it with both a regular USB connector and a reversible USB Type-C plug for instant connections minus the guesswork. 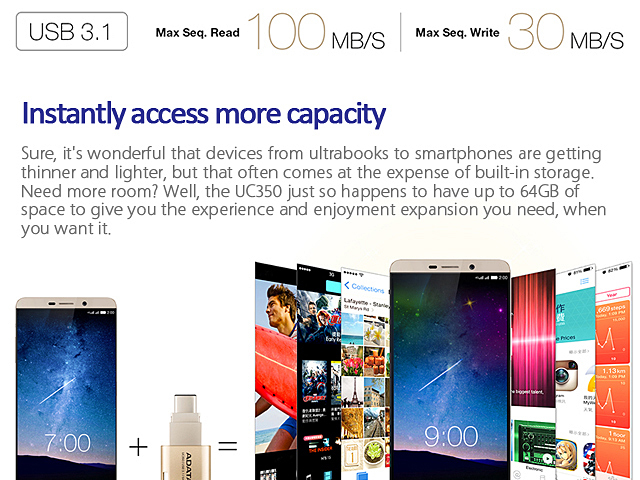 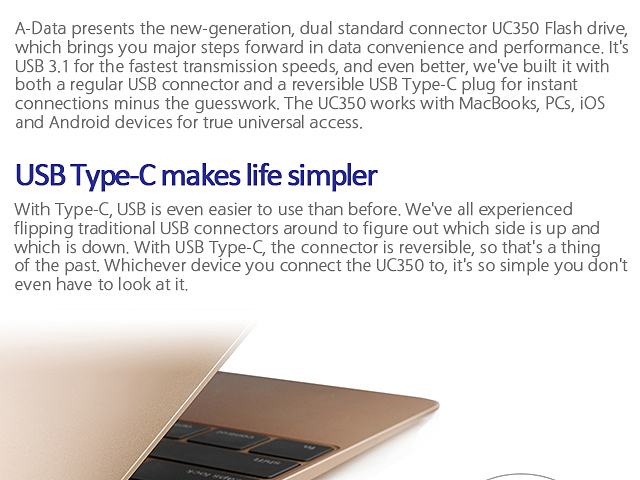 The UC350 works with MacBooks, PCs, iOS and Android devices for true universal access.